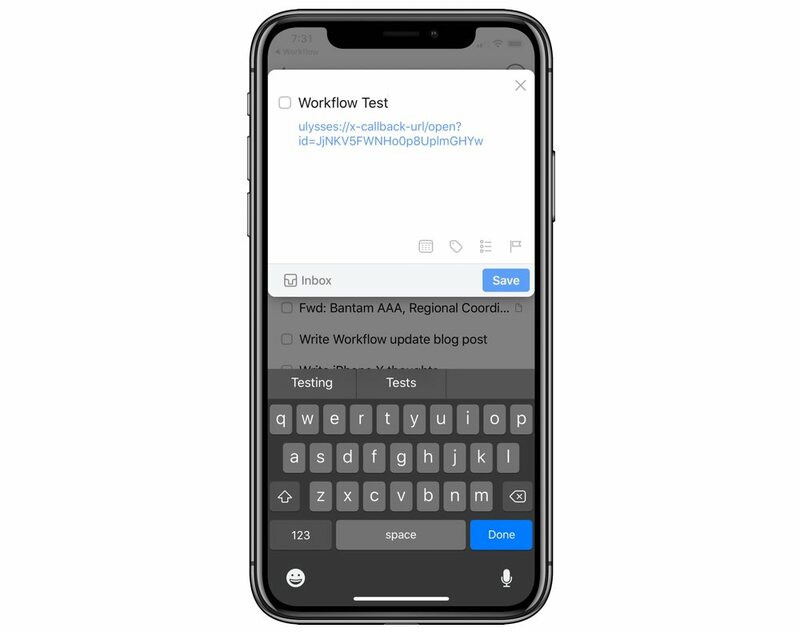 Workflow, the widely-heralded app for making short work of automated tasks on iOS, was recently updated to version 1.7.8, bringing with it a few new features to satisfy many power users. Chief among those new features — and of utmost interest to the team here at The Sweet Setup — is a new Add to Things action. We just launched an entire course on how to use Things — or any productivity system for that matter — to improve your productivity on iPhone, iPad, and Mac. Shortly after the All the Things launch, Things 3.4 launched, introducing a URL scheme to the GTD app. Our very own Matt Cassinelli had a hay day with Things 3.4’s new URL scheme, throwing together this guide to make automating your Things workflows easier than ever before. You can assign a task to a project or an area. You can specify headings, enter dates, enter notes, and enter tags. You can enter dates, deadlines, and reminders for tasks. 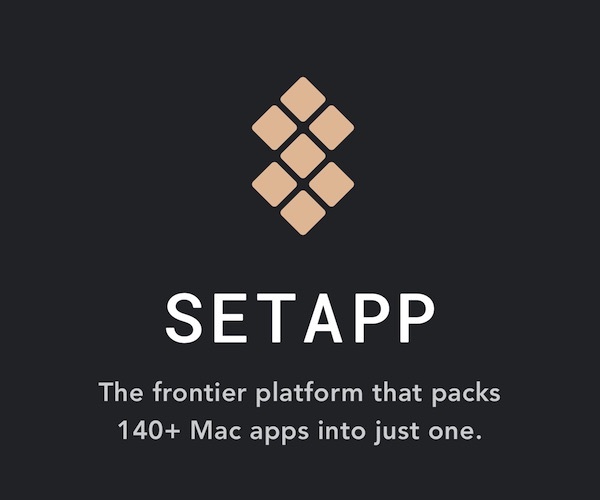 These two workflows, created by Matt, showcase the new Add to Things action. Both utilize Things’ task editor, making the entire workflow feel more official. Save Link to Things — this workflow takes the highlighted link or the Safari URL and adds it to any of your Things areas. 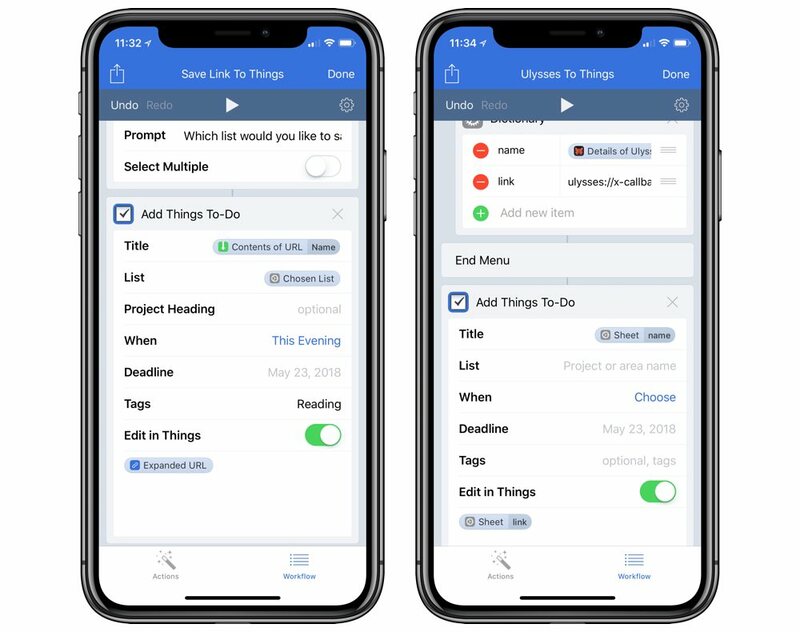 Ulysses to Things — this workflow can be started within Workflow and gives you the option to create a new sheet in Ulysses, search for a prior sheet, or add a new sheet from your clipboard before placing a task in Things with the corresponding Ulysses URL in the task’s notes. 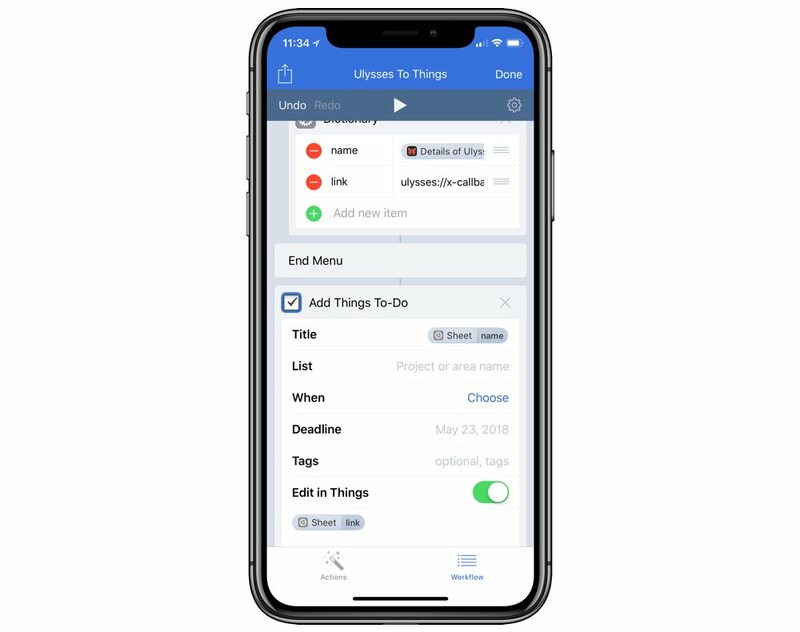 This new Add to Things action is great for creating simple to-dos and for using the built-in Things task editor within the workflow. 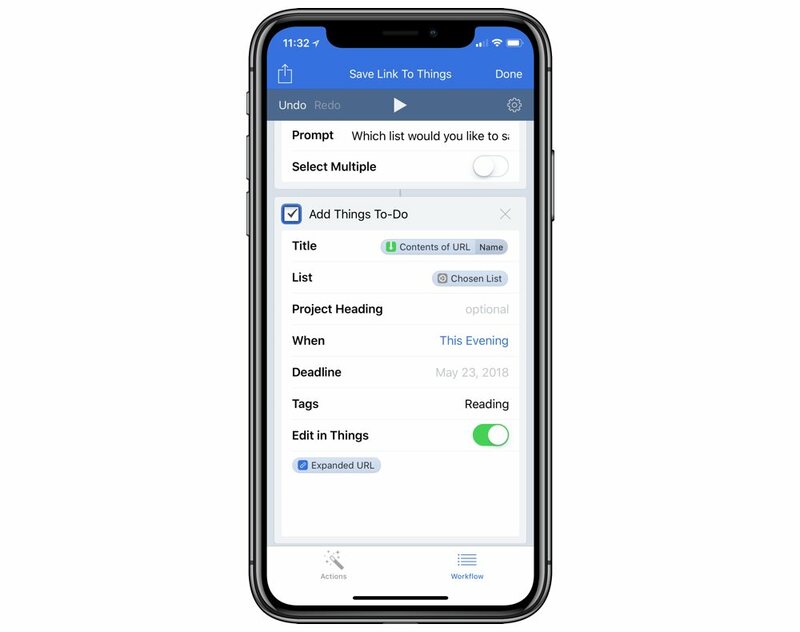 However, we think you should jump into our automation guide for creating multiple tasks more efficiently, for creating checklists and projects, and for utilizing the power of JSON in Things 3.4. Workflow’s new Mask Image Action makes for far faster work of manipulating images and for overlaying masks on tops of images. With Mask Image, you can cut an image into any shape, apply a mask to any inputted image, and use a few different built-in options for fitting your image into the desired specs. Workflow 1.7.8 also allows you to open a workflow without actually running it, making the action great for launching apps (like Launch Center Pro). Overall, we’re most excited about Workflow 1.7.8’s new Add to Things action. The action is great for those wanting to create simpler to-dos and for adding specific notes and deadlines to specific projects and areas. Utilizing Add to Things makes the Workflow to Things workflow feel that much more official. 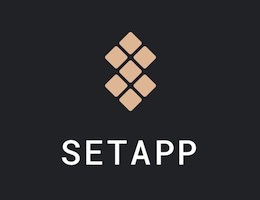 If you feel you want to move beyond what Workflow can provide for Things, we recommend checking out our guide to automating and workflows in Things. There are tons of little nuggets in the guide sure to supplement the new Things support in Workflow 1.7.8.